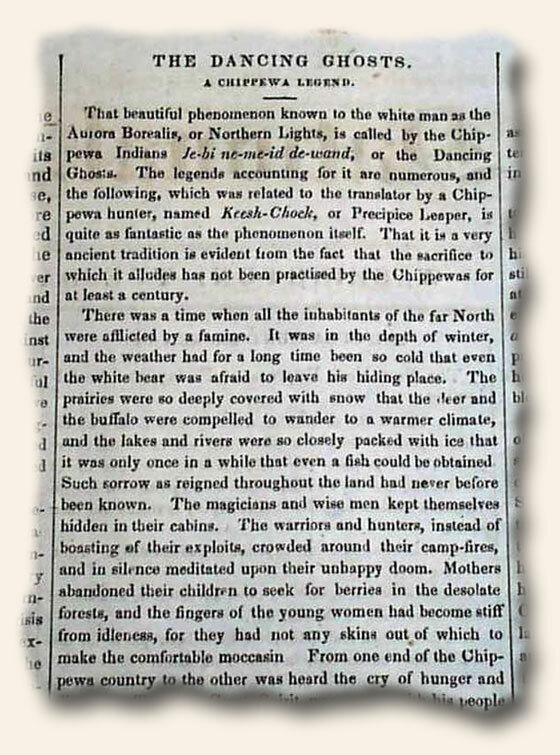 Science in the 1850’s was not what it is today, and although ghost stories still popular the fringe of scientific investigation, such reports rarely make the mainstream media today. But not in 1858. 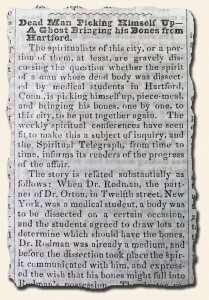 The “Norwalk Experiment” newspaper of Ohio, printed in its Dec. 7 issue a fascinating report headed: “Dead Man Picking Himself Up–A Ghost Bringing His Bones from Hartford”. 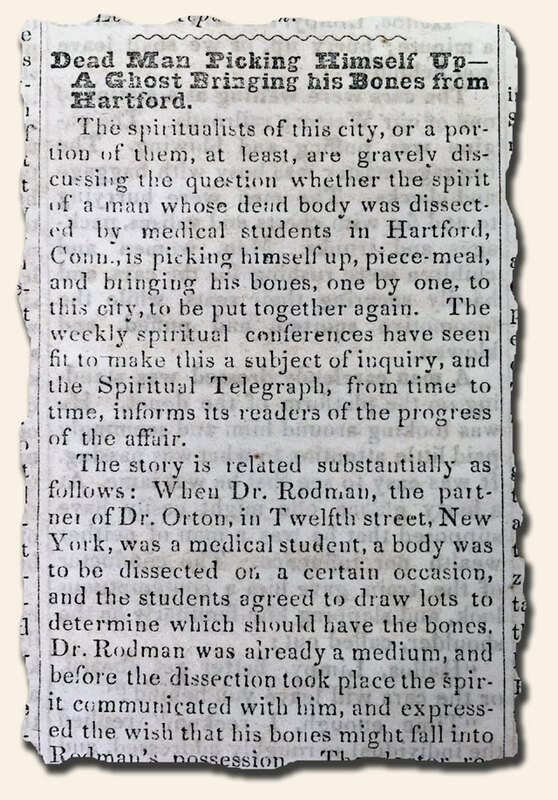 The crux of the article is: “The spiritualists of this city…gravely discussing the question whether the spirit of a man whose dead body was dissected by medical students…is picking himself up, piece-meal, and bringing his bones, one by one, to this city to be put together again…”. further on is mention that: “…This extraordinary determination, which we believe has no parallel in ghostology, ancient or modern, it is alleged, is being carried out…” with much more. 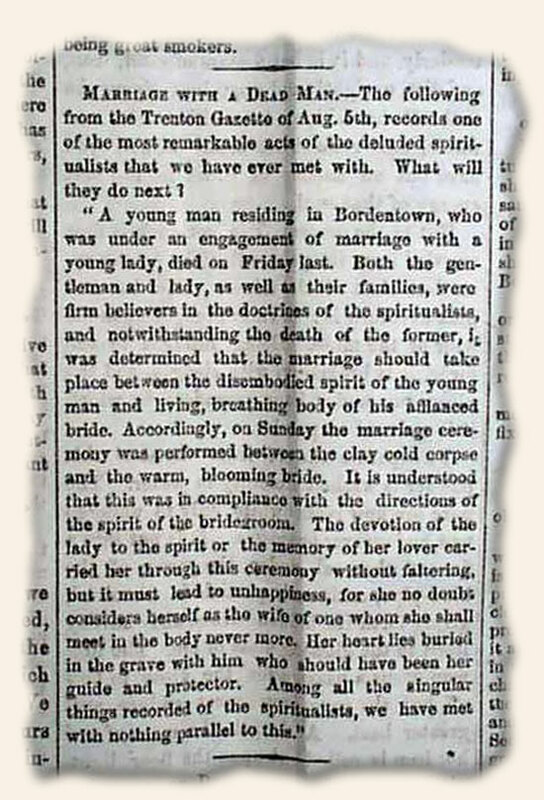 Interesting reading, giving evidence that ghost stories were more “mainstream” a century ago than they are today.